The governor is reportedly waiting on guidance from the federal government. By Kyle Scott Clauss·	 11/16/2015, 12:05 p.m.
As a city and as a country it is not our custom to turn our backs on people who are in need and who are innocent. We have yet to receive guidelines from the federal or state government on how they will move forward, however should we be told that Boston is accepting refugees, we will work with our partners at the federal, state and local levels to ensure the safety of Boston residents. Gov. Charlie Baker, meanwhile, received stiff criticism from representatives of the Massachusetts Immigrant and Refugee Advocacy Coalition at their annual Thanksgiving luncheon Monday afternoon. Gov. 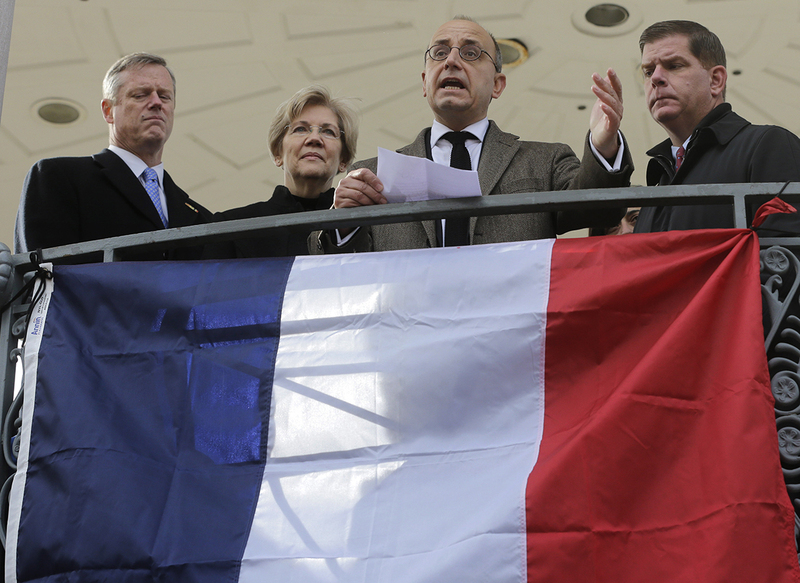 Charlie Baker and Boston Mayor Marty Walsh are opposed to allowing Syrian refugees into Massachusetts following last week’s terrorist attack on Paris until the federal government puts a better system in place, per reports. Baker is waiting for the feds to instate a “stricter screening process,” reports Antonio Caban of the State House News Service. Baker will hold press availability this afternoon. Governors in Alabama, Arkansas, Texas, and Michigan have also announced their refusal to admit Syrian refugees.